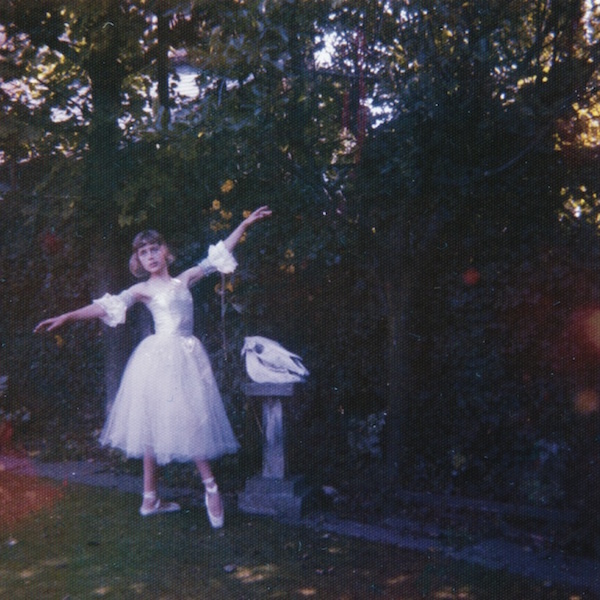 Wolf Alice’s 2015 debut My Love Is Cool made a sizeable impact on a genre that had previously been either the purview of commercial conveyor belt mush or the traditional landfill-indie of old. But Wolf Alice’s approach to music offered something much more intriguing than the hordes of blokey guitar bands that had littered the music scene since the days of Britpop. Having a female vocalist and guitarist, in the form of Eliie Rowsell, helped to switch things up and provides Wolf Alice with a much more nuanced take on guitar music. That Roswell’s presence has had an effect on a younger female fanbase as a role model is also a bonus. Meanwhile, the rest of Wolf Alice’s lineup of Joff Oddie (guitar), Joel Amey (drums) and Theo Ellis (bass) provide the chemistry for a solid outfit. Wolf Alice aren’t content to have one approach to music and, as a result, Visions Of A Life expands on the scope of their 2015 debut with nods to shoegaze, traditional rock and punk-tinged bangers. There’s a space rock quality to ‘Heavenward’ whose lyrics touch on the death of friends and remembrance (“I’m gonna celebrate you forever”). A shoegazey mix of guitar washes coats the song as Roswell’s vocals echo out from cosmic distances at points, while a solid soundscape of guitars give the whole thing some punch. ‘Yuk Foo’, which was the first song to appear from the album, presents an unrestrained and energetic slice of punk. It’s a raw, frenetic wall of guitar-fuelled rage inspired, in part, by Rowsell’s reading of Michael Azerrad’s tome on the US underground scene of the 1980s, Our Band Could Be Your Life. The album then jumps a gear for ‘Beautifully Unconventional’, a composition that makes good use of space as a thumping guitar sound drives the song forward. Lyrically, the song touches on non-conformity (inspired by cult film Heathers). Meanwhile, Amey’s restrained percussion keeps things on track for a song which suggests the quirky indie stylings of Beck (not surprisingly, the album has Beck collaborator Justin Meldal-Johnsen on production duties). ‘Don’t Delete The Kisses’ sees the band dabbling in dreampop as the guitars take a backseat for a song that makes more use of synths. Meanwhile, Rowsell’s vocals alternate between choral trills and a half-spoken narrative: “me and you were meant to be in love”. Similarly, ‘Planet Hunter’ paints a more languid picture with some shoegaze moments thrown into the mix. A confident baseline underpins ‘Formidable Cool’ with its tale of unsavoury characters (“His hand in somebody’s knickers/He only has too look at you twice/To claim you his love fool”). There’s a sleazy quality to the track that suggests a call-back to ‘You’re A Germ’ from My Love Is Cool, but some fine guitar work gives the whole affair a groove. ‘Space & Time’ spins things back up again with percussive surf punk elements (sounding at times like the bubblegum pop efforts of Tacocat). “Take me out to the future/Just so I can look back into the past” suggests Rowsell as Amery’s drums battle it out with Ellis’ bass. Meanwhile, ‘St. Purple & Green’ offers up a strangely hymnal opening for a haunting number that darts back and forth between reflection and dynamic guitar moments. The simpler composition of ’After the Zero Hour’ slows things right down. Here, an acoustic guitar accompanies Rowsell’s hypnotic vocals, which calls to mind the baroque pop of Austra. It’s a charming tune although it does seem oddly out of place against the more raw rock present on the album. Closing out the album, the title track has a strange combination of hard-edged guitars, aggressive percussion and Rowsell delivering an, at times, ethereal vocal. The song revolves around poetic musings on life and death and more than a hint of self-loathing (“Fear of crashing and not coming back/I’m a curse to my friends, to be condemned”). Visions Of A Life is a solid album that seems like the logical extension of My Love Is Cool, but at the same time suggests a band willing to experiment and play around in the sandbox with nods to a variety of music genres. Despite this, the album seems to hold together as a whole and, judging by the critical claim the band are receiving, is a very likely contender for a few Album of the Year lists. Visions Of A Life is out now on Dirty Hit.